Make cooking fun and easy with the multi-purpose Mellerware Alonzo Electric Fry & Pizza Pan. The non-stick coating is ideal for frying and can also be used for pizza due to the round design. The Alonzo has a full glass lid with steam outlet. 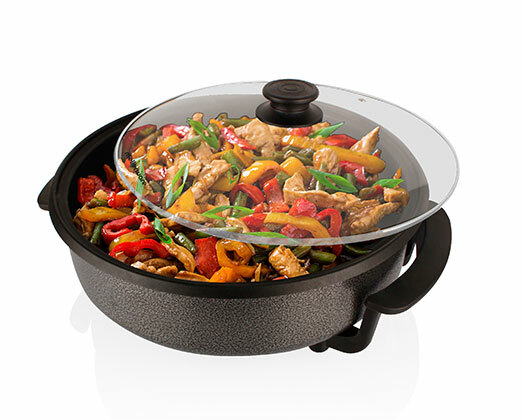 Ease of use combined with energy saving technology and adjustable thermostat control makes the Alonzo frying pan a must have. A delicious recipe book filled with innovative ideas also included. Multi purpose frying pan can also be used for pizza. Full glass cover with steam outlet.